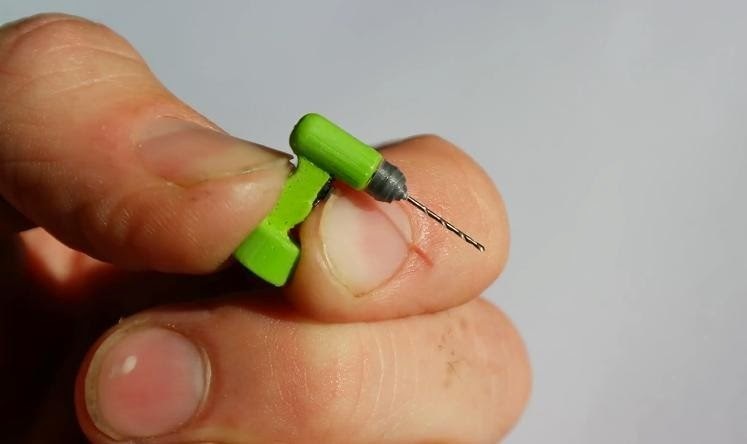 Should you ever feel the need to carefully bore a hole through the top layer of skin on your finger, there's now a drill that can do it. 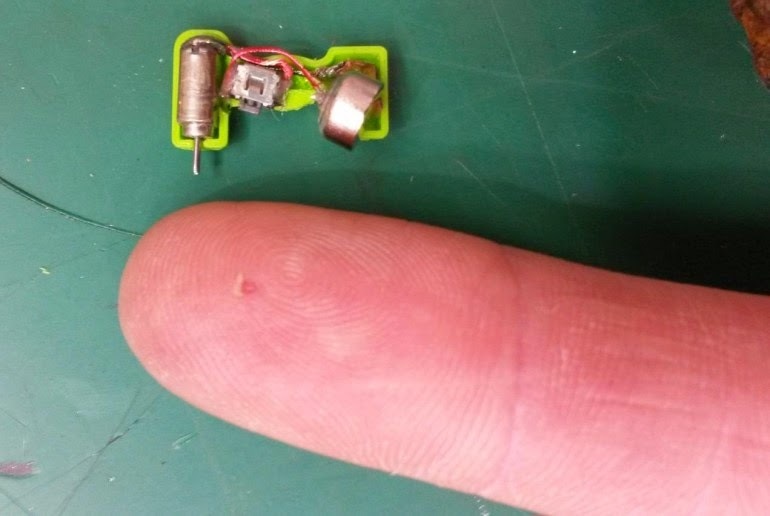 Using his Ultimaker 2 3D printer, Auckland, New Zealand maintenance engineer Lance Abernethy has created what is unofficially the world's smallest working power drill. According to a report on 3DPrint.com, Abernethy started out by creating a computer model using Onshape 3D software, utilizing his full-size drill for reference. He then proceeded to print out the two halves of the drill's body, along with its chuck. The whole printing process took about 25 minutes. It subsequently took Lance about three hours to stuff in a tiny motor, power button, hearing aid battery, and wiring from a stripped headphone cable. The finished product measures 17 x 7.5 x 13 mm, uses a 0.5-mm bit, and can reportedly drill through soft objects. Abernethy says that he's seen other drills claimed to be the world's smallest, but that his is smaller. Not one to rest on his laurels, though, he already has plans to make an even tinier drill, using a smaller battery that he has on hand. In the meantime, you can see his existing drill in action, in the video below.